Belize was a former British Colony until it received its independence in 1981. It is the only country in Central America with English as the official language. Everyone in Belize speaks English although; Spanish, Chinese, Garifuna and various Native Indian ethnic languages such as Mayan and Ketchi are also spoken. This beautiful and unspoiled country is located at the southern tip of the Yucatan Peninsula approximately 150 miles south of Cancun. 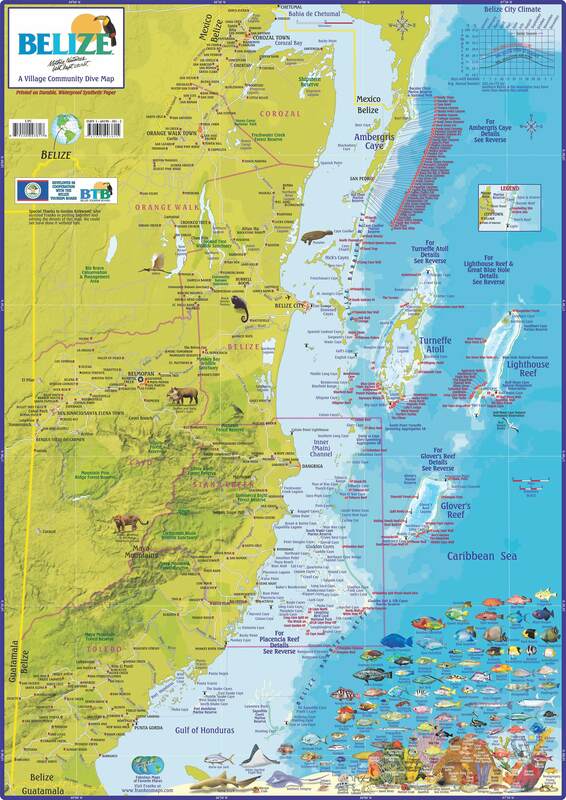 It sits in the heart of the Caribbean Basin and is considered to be more Caribbean than Central American. The landmass is about the size of Massachusetts, (8,876 square miles). It is 185 miles long, 85 miles wide and is bordered on the north by Mexico, the south, and west by Guatemala and the east by the beautiful Caribbean Sea. What sets Belize apart from most other countries in the region and the world is the richness of its natural resources and a very low population density. While other countries in the region with similar or smaller landmasses have millions of inhabitants, Belize population is just a little over 250,000 people. Much of the country’s land and marine environments have been designated as protected areas, and most are managed for tourism and recreational use. The government and its people are sincerely committed and working tirelessly in an effort to chart a sustainable future for this beautiful country. Off the coastline lie’s 185 miles of the adjacent reef the largest in the Western Hemisphere, along with hundreds of cayes, three magnificent atolls, and the great Belize Blue Hole. Inland, an unspoiled rainforest, rivers, cave systems, Ancient Mayan archaeological sites and the world’s only jaguar preserve are just a few of the exciting attractions that await you. It is very easy to travel between the areas of attraction across the country you can do so by road, plane or boat. With so many exciting things to see and do Belize is the perfect destination if you are looking for an unforgettable tropical adventure vacation or just relaxation and fun in the Caribbean sun.